This charming terraced townhouse on a peaceful square in the original part of this quaint fishing village is one of the oldest properties in the village. It was totally re-fitted in 2007 to provide an exceptionally comfortable, deceptively spacious and well-appointed modern home within the traditional listed exterior. There is an enclosed rear patio area. 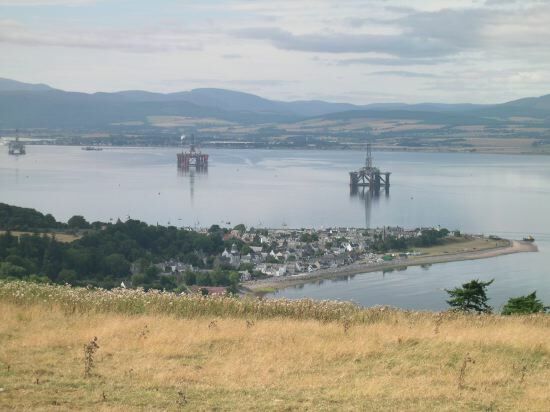 Local shops, inns, the pier and beach are all within short walking distance and all around are lovely views of the Cromarty Firth and Easter Ross mountains. 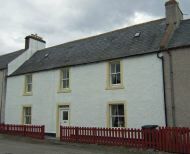 The conservation town of Cromarty is at the point of the fertile Black Isle peninsula, famous for its favourable micro-climate and clean sandy beaches. There are coast and countryside walks, sea angling, cruises, golf courses and quiet roads for cycling. The town has slipway facilities and the sheltered waters offer good sailing. This is an ideal base for exploring north to John o'Groats, south to Loch Ness or west to Gairloch and the rugged West Highlands. Inverness is a half hour drive. View over Cromarty to Ben Wyvis and the West Coast.